The Red Sox improved to 12-15-1 in their Grapefruit League finale on Saturday afternoon, defeating the a split Pittsburgh Pirates squad by a final score of 12-3 for their fourth consecutive victory. Making his final tune-up before the start of the regular season in this one was Chris Sale. Fresh off inking a five-year, $145 million contract extension, the left-hander looked as sharp as ever on Saturday, holding the Pirates scoreless on just two hits and one walk to go along with six strikeouts over five impressive innings of work. In total, Sale faced 16 hitters and needed 73 pitches to get through those five frames and fanned three straight to end his day on a positive note. As you probably already know, Sale’s next start will come on Opening Day out in Seattle, Wa., two days before the hurler’s 30th birthday. From the beginning of the sixth inning on, Heath Hembree and Brian Johnson combined to allow three Pirates runs to score on seven hits, a pair of walks, and six strikeouts themselves. Hembree was the one responsible for all three of those runs, as he served up a one out, three-run home run to Pittsburgh’s second-ranked prospect Ke’Bryan Hayes, which at the time cut Boston’s lead to one run. Overall, not a great showing from Hembree, but if there’s anything to salvage from this particular outing, it’s that he retired the final two hitters he faced in order after giving up the home run to put an end to the Pirates half of the sixth. Johnson, meanwhile, had to work his away around a bases-loaded jam in the seventh before eventually settling in and punching out four in three innings en route to securing the blowout win. On the other side of things, the Red Sox lineup was matched up against Pirates Opening Day starter Jameson Taillon to begin things on Saturday. Similar to what they did against the Twins on Friday, the top of the lineup set the tone early, with Mookie Betts, Dustin Pedroia, and JD Martinez all reaching base with one out in the first. Martinez drove in the first Red Sox run of the afternoon on a shallow single to center field to plate Betts, while Xander Bogaerts followed that up by driving in Pedroia on an RBI sacrifice fly to left. And just like that, it was already 2-0. Fast forward to the fourth, and Bogaerts was at it again, this time leading off the inning with a triple off Taillon. He would come around to score on a Jackie Bradley Jr. RBI double moments later, and Bradley Jr. would himself come around to score from second on a Brock Holt RBI two-bagger. 4-0. After the Pirates had cut into that four-run lead in their half of the sixth, the Boston bats would respond almost immediately, with both Blake Swihart and Bradley Jr. capitalizing on a Pittsburgh throwing error and scoring their team’s fifth and sixth runs of the afternoon. And in eighth, Swihart would wind up being the catalyst of a six-run inning with a two out single. Jantzen Witte, Joseph Monge, Chris Madera, and Aneury Tavarez all picked up RBI as the Red Sox wold go on to run away with this one, winning their last game of Grapefruit League play in 2019 by a final score of 12-3. Tzu-Wei Lin was optioned to Triple-A Pawtucket following Saturday’s victory, meaning the Red Sox now have 29 players on their active roster. Sam Travis should be next. Jackie Bradley Jr. finishes his 2019 Grapefruit League campaign with a .333/.409/.667 slash line, three home runs, and eight RBI in 39 spring at-bats. Next up for the Red Sox, they’ll head out west to Mesa, Arizona to take on the Chicago Cubs in a pair of exhibition games starting Monday, before the real thing begins. Rick Porcello will get the ball Monday and both games will be on NESNplus and NESN, so stay tuned for that. First pitch Monday is scheduled for 9:05 PM EDT. #RedSox and Heath Hembree Avoid Arbitration with One-Year Deal for 2019 Season. On Friday afternoon, the Boston Red Sox announced that they had agreed to terms on a one-year contract with RHP Heath Hembree. According to Fancred’s Jon Heyman, the two sides will avoid salary arbitration with a deal worth approximately $1.312 million for the 2019 season. Hembree, 29, posted a 4.20 ERA and 1.33 WHIP over 67 relief apperances and 60 innings pitched in his fourth full season with Boston in 2018. The right-hander also held left-handed hitters to a .186 batting average against to go along with a career-high 11.4 K/9 for a whole campaign. A former fifth round pick of the San Francisco Giants in 2010, Hembree took Steven Wright’s spot on the Red Sox’ ALDS roster prior to Game Two against the New York Yankees and did not surrender a single run in any of the four postseason appearances he made on the way to a World Series championship. 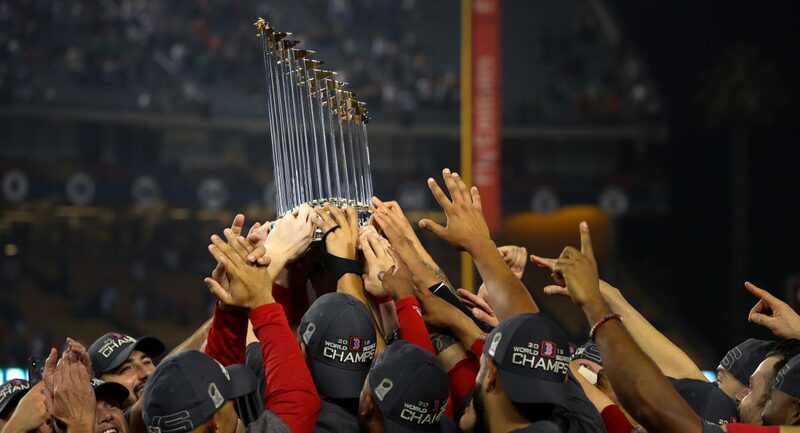 With the departure of Joe Kelly and the somewhat probable departure of Craig Kimbrel, it’s quite likely that the South Carolina native will see an increase in usage in 2019 depending on what the Red Sox’ plans are for the remainder of the offseason. Hembree found success early in the 2018 season by stranding inherited runners on base on a consistent basis, but the ability to do that seemed to fade as the year progressed, and the reliever’s numbers inflated as a result of that. Per the Red Sox themselves, this signing now leaves 10 players, Matt Barnes, Mookie Betts, Xander Bogaerts, Jackie Bradley Jr., Brock Holt, Sandy Leon, Eduardo Rodriguez, Blake Swihart, Brandon Workman, and Steven Wright, who remained unsigned and eligible for arbitration. 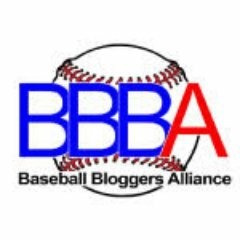 Author Brendan CampbellPosted on December 21, 2018 Categories Baseball, Sports, UncategorizedTags Baseball, boston, dave dombrowski, heath hembree, hot stove, mlb, offseason, red soxLeave a comment on #RedSox and Heath Hembree Avoid Arbitration with One-Year Deal for 2019 Season.